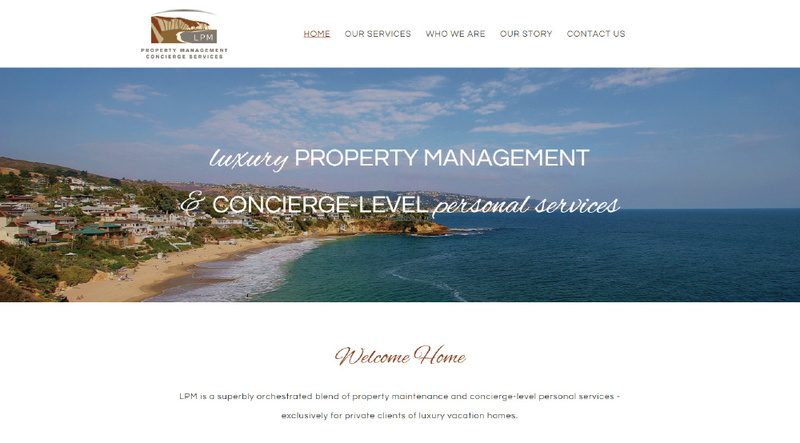 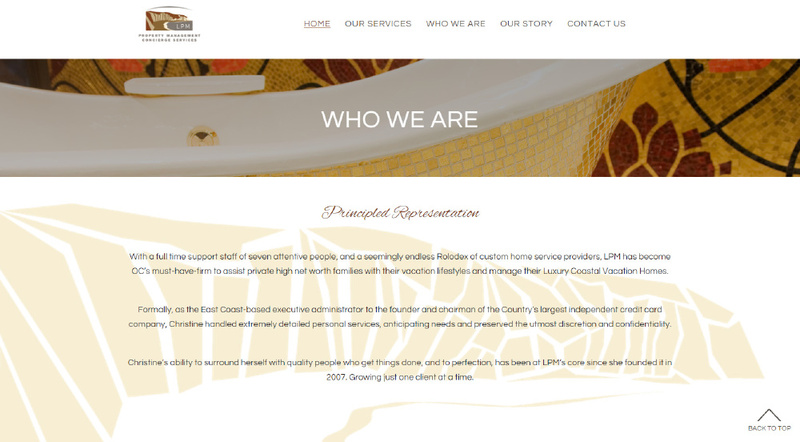 Lawry Luxury Properties, founded by Christine and Tobias Lawry, is a superbly orchestrated blend of property maintenance and concierge-level personal services - exclusively for private clients of luxury vacation homes. 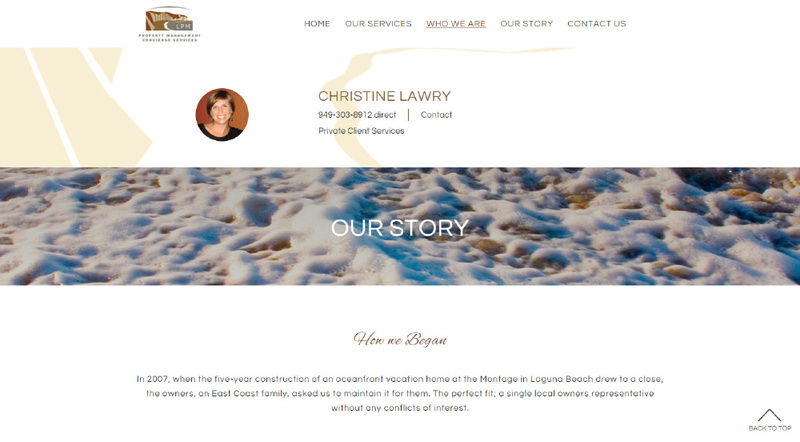 Serving 2nd home and high net worth residences on the Orange County coast. 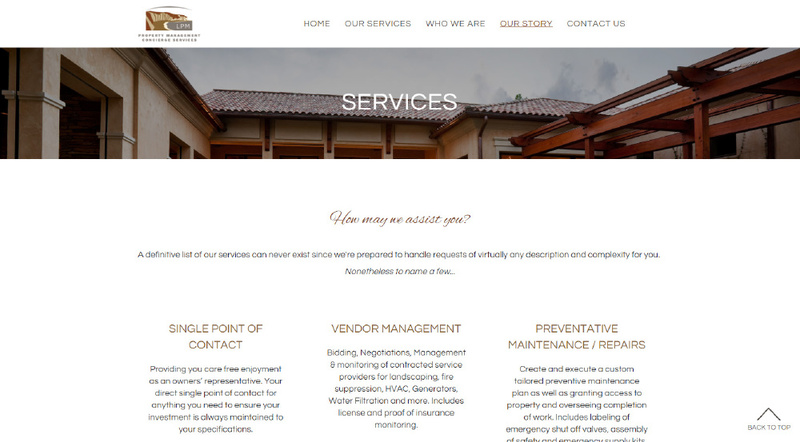 SM Sold designed their Sold5 website with their unique branding to showcase the multitude of luxury services they provide for their luxury clients.